right at the begining we decided that INsitu was to be a platform. Not only can you visualise modular buildings in-situ, but all outdoor products. We have worked closely with cedar nursery, helping their customers see a large range of their products, in their gardens, from louvred pergolas to garden benches and planters. Now we’re exploring the possibility of paving. 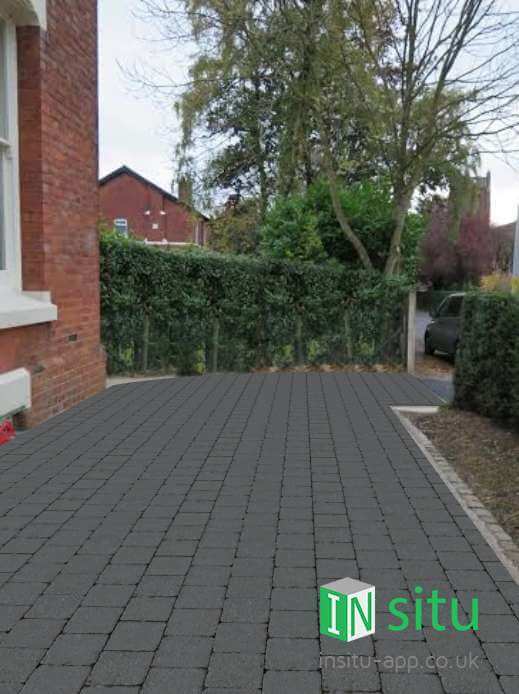 With this particular range of paving there is a strong demand to “see before you buy” so lets see how INsitu can help. currently INsitu only deals with products that are of predefined sizes – eg modular buildings. As you can imagine the paving profile from one property to the next is completely different, so this stage will be completed manually. However, at a later stage; this is process can be automated and included in the app; so that users can do it themselves; In much the same way as shown below. Simply locate your property on google maps and trace the outline of where you’d like your paving to go. Imagine doing this on touch screen with your finger!